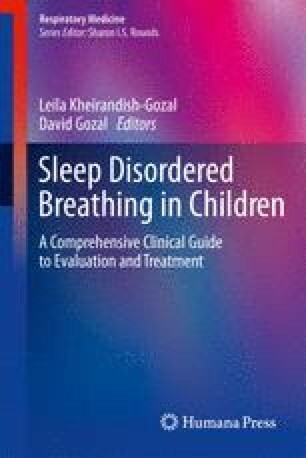 Children with Down syndrome have certain characteristic physical features—including relative macroglossia, maxillary hypoplasia, and hypotonia—that put them at a much higher risk of obstructive sleep apnea (OSA) than the typical population. This chapter discusses the epidemiology, pathophysiology, and the consequences of Down syndrome that lead to OSA, as well as diagnosis and treatment for OSA in Down syndrome children. Center for Disease Control. Improved national ­prevalence estimates for 18 selected major birth defects, United States, 1999–2001. MMWR. 2006;54 (51 & 52):1301–5. http://www.cdc.gov/mmwr/­preview/mmwrhtml/mm5451a2.htm. Accessed 6 Jan 2010.